Home to one of Barcelona’s most innovative museums, Caixaforum, Casaramona is art in its own right: an architectural gem of Modernisme, which no guide to the city should leave out. Though functionality is not a feature commonly associated with Art Nouveau, this fabulous example of the Catalan brand, Modernisme, magnificently fulfilled its purpose in its day. Designed by architect Josep Puig i Cadafalch for the industrialist Casimir Casaramona, the factory aimed to balance the aesthetic and functional. While it was unusual to devote such intense artistic effort to a factory, Casaramona was innovative for more reasons than its fantasy crenelations. 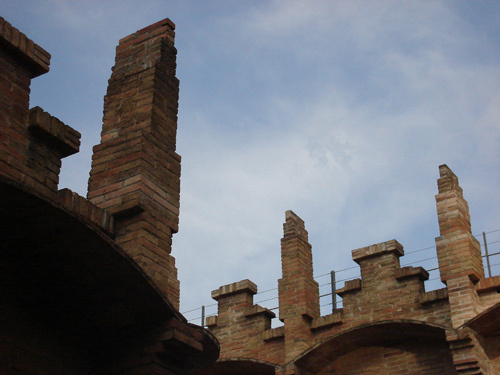 From 1900-10, Barcelona’s 3 main textile factories suffered 251 fires, prompting Puig i Cadafalch to choose bricks and iron over timber, and install an unheard-of new fire system designed in England, called the sprinkler. He also opted for electricity over steam power, and a layout that enabled a production-line flow of carts to enter and exit the building without hindrance. For this project, the architect received the 1913 Annual Award for Artistic Buildings. The factory did a roaring trade supplying towels and blankets during the Great War, but was hit by the 1919-20 slump. It lay unused until commissioned as one of Franco’s police stations in 1940, a function it fulfilled until 1992. 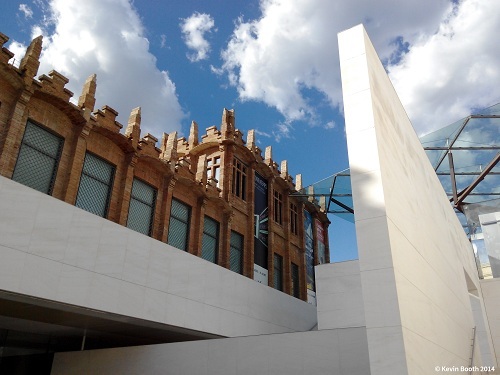 In 2002, it became the headquarters of Caixaforum, la Caixa bank’s new exhibition centre. Several architects were involved in its restoration, including Francisco Javier Asarta, Robert Brufau, Roberto Luna and Arato Isozaki. 100,000 bricks were especially moulded in the old style. Yet its original hurried construction meant 5 different brickworks had supplied the site. So a brick of new dimensions had to be designed that interlocked with all 5 types. 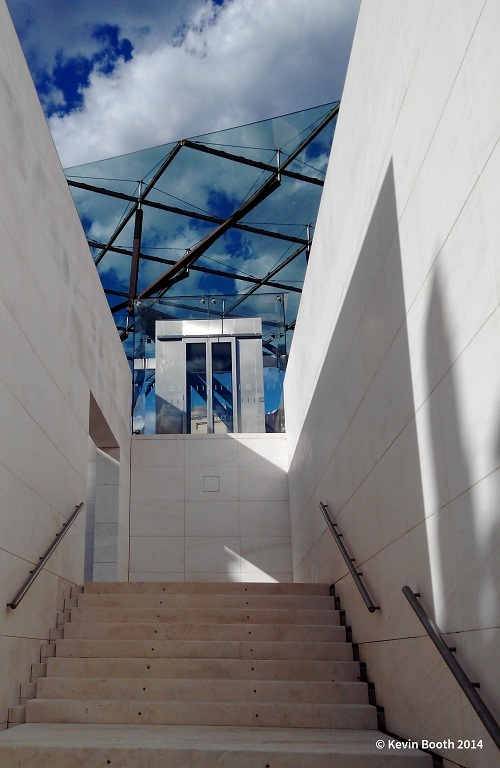 The entrance foyer, through a basement of modern construction, is lined with 10-cm limestone slabs. A stone’s throw from here, you can appreciate Puig i Cadafalch’s work for the 1929 Barcelona International Exhibition: his remodelling of Plaça Espanya along the lines of St Peter’s square in the Vatican; la Fira trade-fair complex and the “Palau de la Luz” on Montjuïc, now housing the MNAC. He also designed the emblematic four columns, representing the Catalan flag la senyera, torn down by dictator Miguel Primo de Rivera in 1928, but recently restored.